There are many things to do and remember before leaving for a business or pleasure trip. Checking in for your flight before you leave for the airport can save a lot of time when you get there and eliminate the uncertainty of how long it will take because of lines you might encounter. You can check in easily before you leave when you fly on American Airlines. When you check in, you can confirm your seat assignment, manage your checked bags, and get your boarding pass. Checking in early also gives you a higher boarding priority, allowing you to get on the plane sooner rather than later unless you already have priority boarding related to your frequent flyer miles or other privileges. On American Airlines, you can check in for your flight online up to 24 hours before the flight using American's Online Flight Check-In. If you're connecting with a flight that American has e-ticketing agreements with, you'll also be able to check in for the connecting flight as well. Boarding passes for these connecting flights may (or may not) be issued, depending on American's rules. To check in online, you will need the Record Locator number and well as the passenger's first and last name. 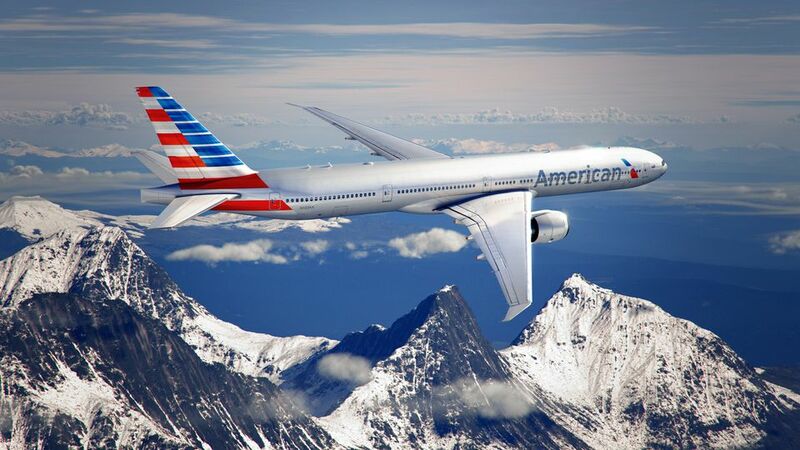 The American Airlines Record Locator number is a six-digit code that identifies the ticket. You can also check in using the American Airlines app on your smartphone. American has specific details and rules on online check-in, but basically, you can check in up to 24 hours in advance and until 45 minutes before departure (for U.S., Puerto Rico, or U.S. Virgin Islands airports) or 90 minutes for all other airports (international flights). If you are checking in and checking bags at the airport, you must be there no less than 45 minutes before departure time for domestic flights and no less than an hour before departure time for international flights. Selected airports (such as Dublin, Buenos Aires, Caracas, Maracaibo, and St. Thomas) have different check-in times (typically 75 or 90 minutes before departure). If you are flying out of airports outside the United States, it is a good idea to double-check the time frame for online and airport check-in. If you are flying on an American Airlines codeshare partner, it's important to note that the check-in times for that partner are the ones that govern the situation. If you're a privileged flyer on American and are flying out of any one of five major airports, you get a serious bonus during the check-in and security check process. It's called Flagship First Check-In, and it's available at Chicago O'Hare (ORD), London Heathrow (LHR), Los Angeles (LAX), Miami (MIA), and New York (JFK). If you're flying in Flagship First Class, are an AA Advantage Executive Platinum member, have American's Concierge Key status, have OneWorld Emerald status, or by American's Five-Star Service, you have access to Flagship First perks. You'll get an exclusive check-in area, personalized service if you need it, and a fast spin through airport security. You may not be able to check in online if your first flight is not on American or if you're traveling on a military fare, with a pet, or with an oxygen container. Once you've checked in, you can check your luggage at the airport at the curbside check-in or at the American Airlines checked-baggage counter (different from the check-in counter). In selected airports, such as Fort Lauderdale (FLL); Las Vegas (LAS); Orlando (MCO); Seattle (SEA); Denver (DEN); Portland, Oregon (PDX); and Salt Lake City (SLC), baggage can only be accepted four hours or less before the departure time of the flight. When you are arriving on an international flight, you will be required to retrieve your baggage at the first point within the United States and go through Customs. It's important to leave enough time for this process when you book if you have a connecting flight. Changes in United's boarding policies spurred by dragging incident.